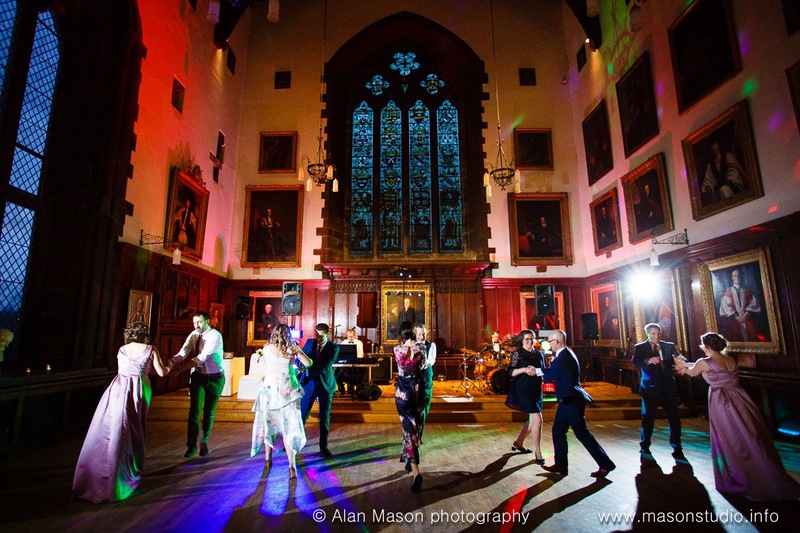 North East Soiree offer fully professional musical entertainment for weddings and corporate entertainment events all over the North East of England. This versatile group regularly performs in Durham, Newcastle upon Tyne, Sunderland, Middlesbrough, Darlington in fact all over Tyne and Wear, Northumberland, County Durham, Teeside and North Yorkshire. The performers all play several different instruments and styles within our Bands. The musicians can all play classical, jazz and popular music and have many years of professional experience. 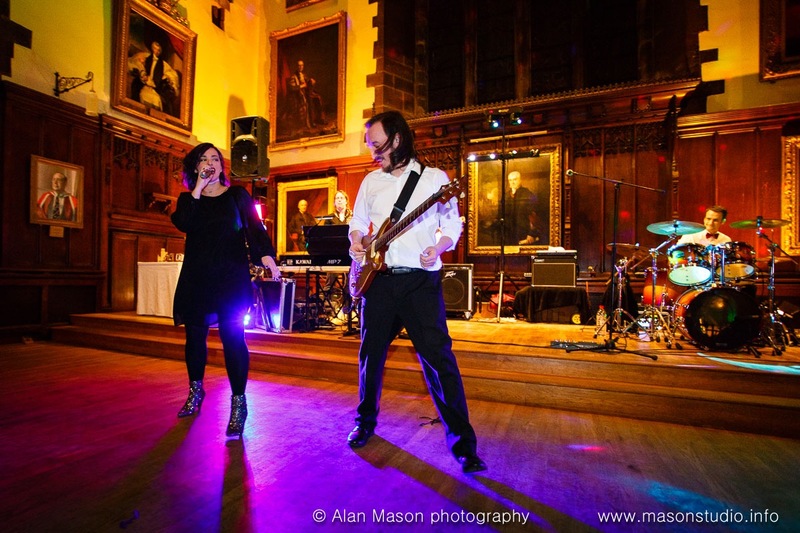 North East Soiree can provide an extremely varied programme of music of the highest standard with the same players throughout the day, hence providing good value for money. Call Gordon on 01388 327 202 / 07768 323 832 for further information. String Quartets are extremely popular at Weddings or Civil Partnership ceremonies and for corporate entertainment during receptions and meals. North East Soiree have an extensive String Quartet Repertoire of light classical and popular music from throughout the ages right up to date. We are happy to specially arrange and perform music of your choice at no extra charge. 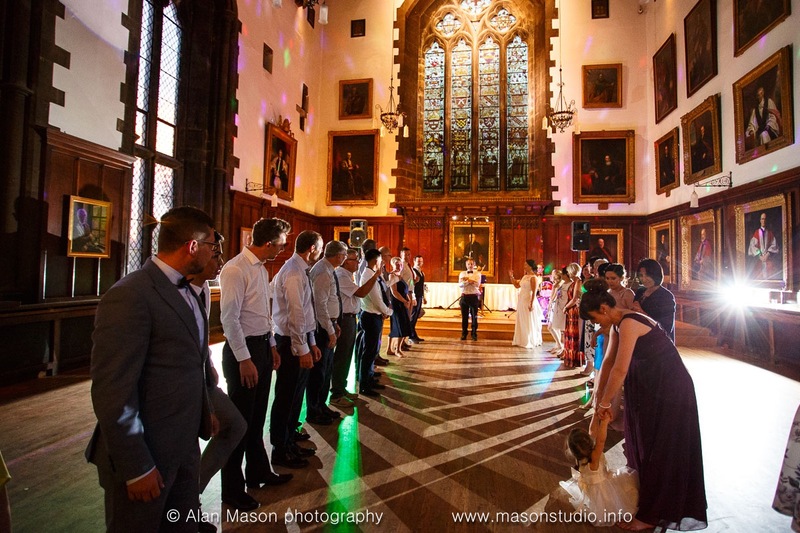 The North East Bollywood String Quartet has a repertoire of well known tunes from the Hindi cinema Bollywood films, all arranged in-house by request at previous engagements and has proved to be a very popular new addition to the String Quartet range of services. 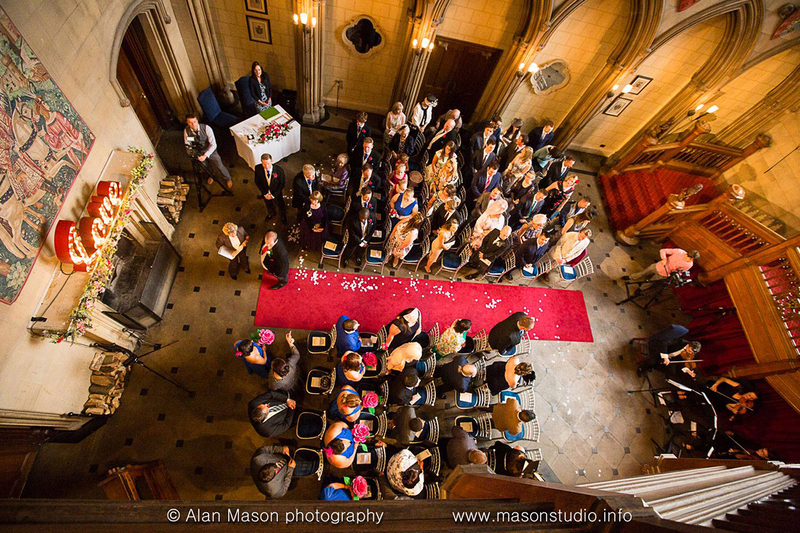 This is very popular to welcome the guests prior to the wedding as well as during Sikh, Hindu and Muslim wedding ceremonies to play for the Entrance of the Bride. North East Bollywood String Quartet can also mix in popular western music from our extensive repertoire. Click here for our Bollywood Repertoire. Various options are available to perform background music during a meal or drinks reception. 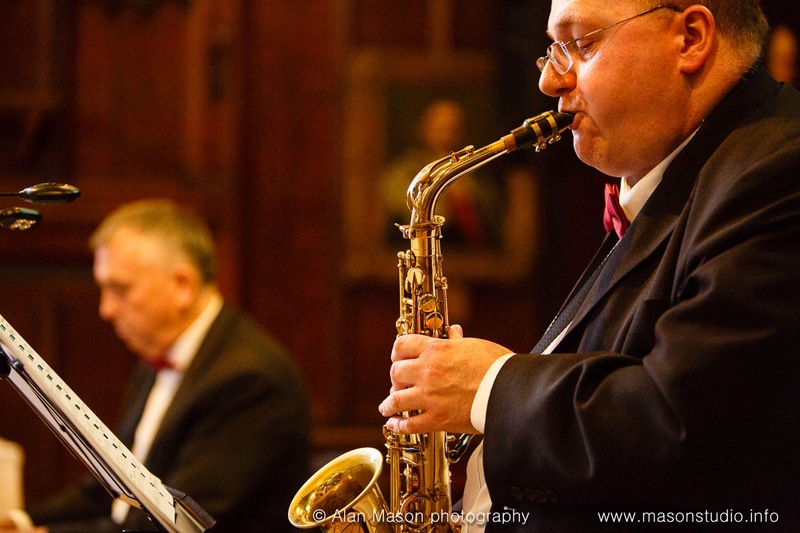 The Jazz band is available in many forms from a gentle Trio up to a superb Swing line-up with male or female singer, 2 Saxes, Piano, Double Bass and Drums. All the variations of the band perform well-known Jazz and Blues standards with a variety of Latin numbers. 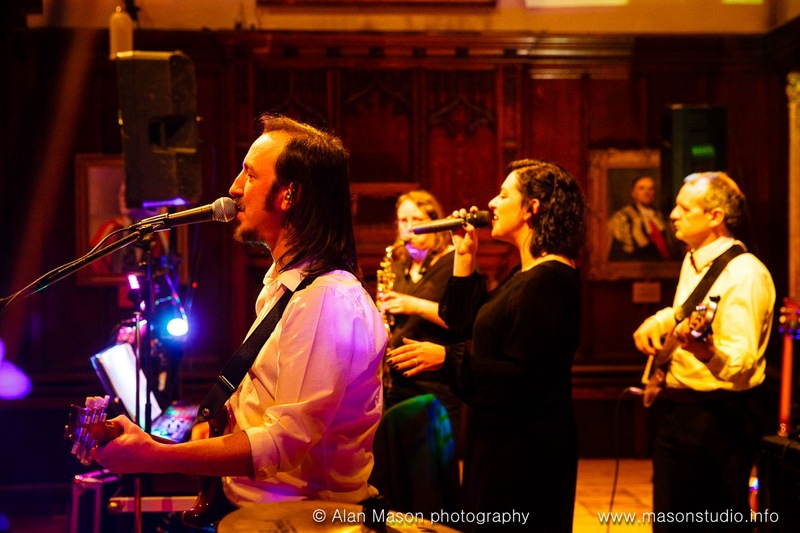 The style of the band is ideal for 40's theme parties, weddings and corporate entertainment functions. The swing band can then be followed with either with the Party covers band or disco - something for everyone. The Ceilidh Knights band playing The Dashing White Sergeant at a wedding in Le Petit Chateau in Otterburn, Northumberland. 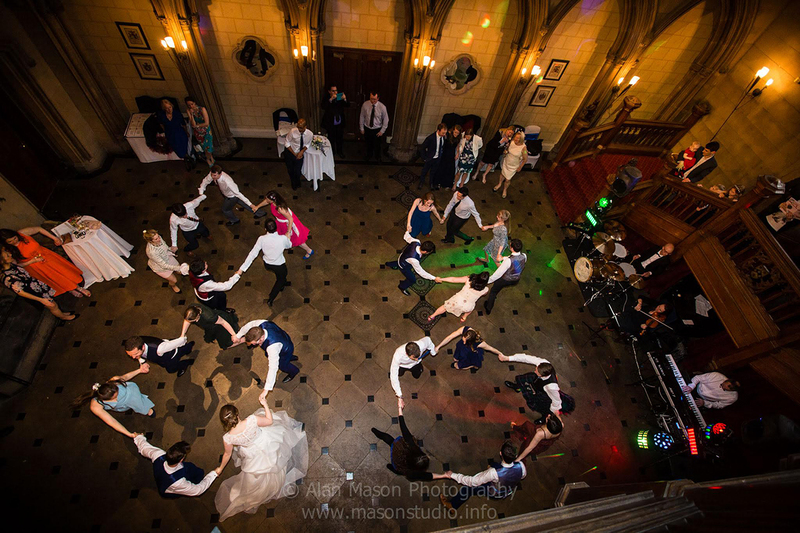 A Ceilidh is a very popular way to start an evening party and the moves are so simple that anyone can Ceilidh dance, even with no prior experience. 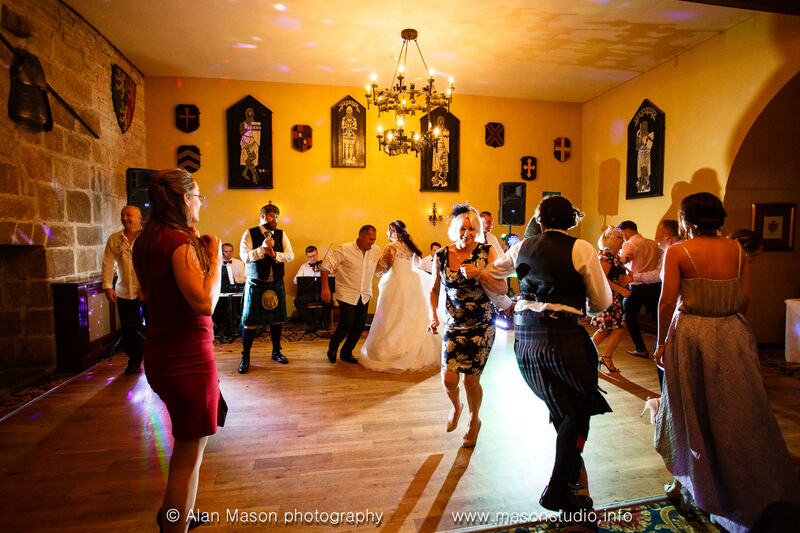 The band is led by a real ceilidh-dancin' Scotsman who has been leading Ceilidhs for over 28 years, from his own hand written arrangements and is a very keen and experienced ceilidh dancer and caller. Every dance is started with a quick demonstration using members of the band and then everyone is encouraged onto the floor and learn the steps together with further instructions given during the dance until everyone knows what to do. There is always a very relaxed atmosphere and it doesn't matter if every step isn't completely correct as long as everyone feels comfortable joining in and has a fun night. 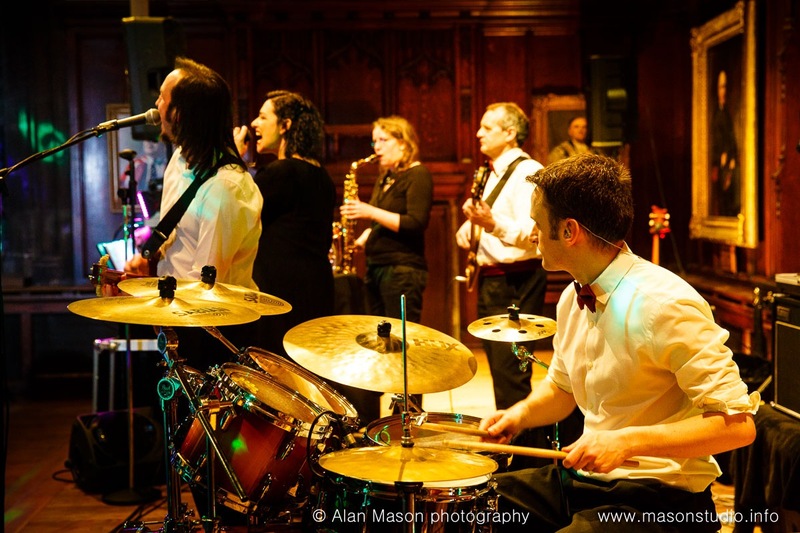 This completely live and spontaneous party covers band is formed by adding 2 musicians to the Ceilidh Band line-up. This energetic and highly entertaining pop Party Band performs classic rock and pop hits from the 60s to present day and is absolutely 100% live! The band has both male and female lead/backing singers, lead guitar, sax, bass guitar and drums. Ideal for any type of Birthday parties, weddings or Corporate Entertainment events. 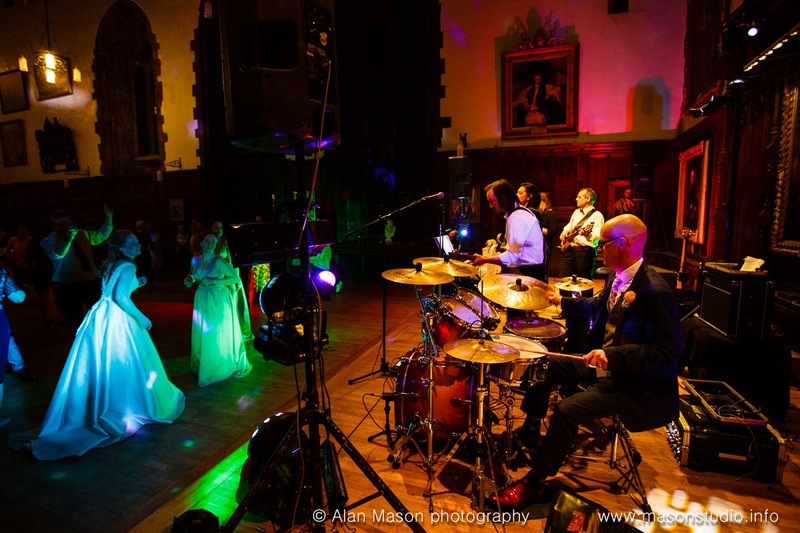 We will gladly play CDs or mp3s through the band PA system for any of the evening Wedding and Party Band set-ups at no extra charge - for example for the 1st dance, during the interval, or as guests arrive. Just let us know the style you would like or supply your own disc or ipod. We generally also provide a Disco section at the end of the night after the band till midnight and have our own DJ with professional CD twin decks, mp3 player and laptop with a good modern lighting rig. Karaoke is also available if required. Please see our example PLAYLIST WEB PAGE to help get started with your very own party Playlist but you can have any playlist you like. In this video we start with our String Quartet, followed by the Ceilidh and then our own Party Covers Band - all at one wedding. Please click here for price information to see prices and information of our services. 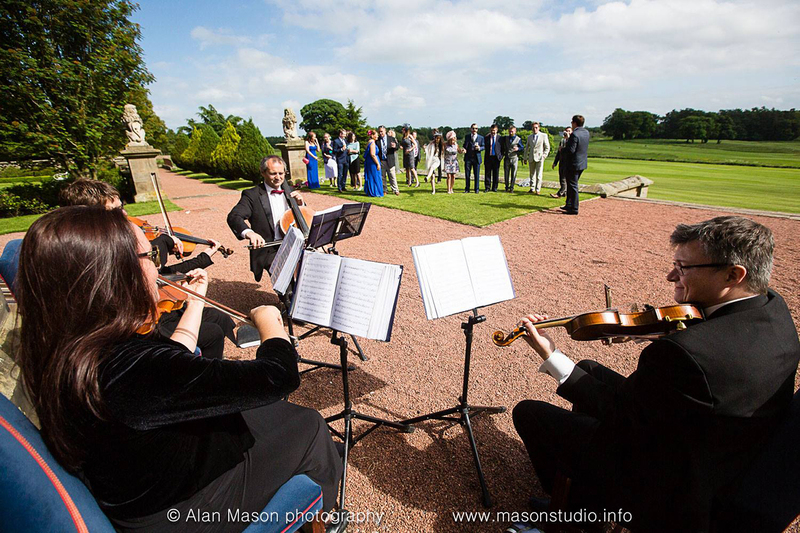 Please click here for our String Quartet Repertoire list to see the North East Soiree Wedding or Civil Partnership and Corporate Entertainment String Quartet repertoire list. Please click here for our Classical String Quartet Repertoire list to see the North East Soiree Classical String Quartet repertoire list for Corporate Events. Please click here for our Bollywood Repertoire List to see repertoire examples of our Bollywood String Quartet music for Sikh, Hindu and Muslim weddings. 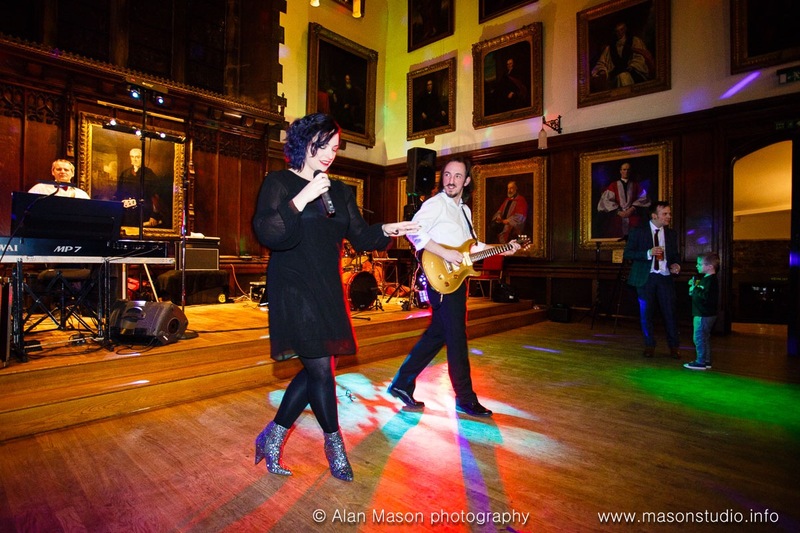 Please click here for our Party Band playlist to see North East Soiree very own "Top 60" songs often performed at Weddings, Corporate Entertainment events and Parties. All our equipment is PAT tested and we have Public Liability Insurance and Health & Safety documents including Risk Assessment and policy documents. Please discuss your requirements and email for a copy to be sent out. 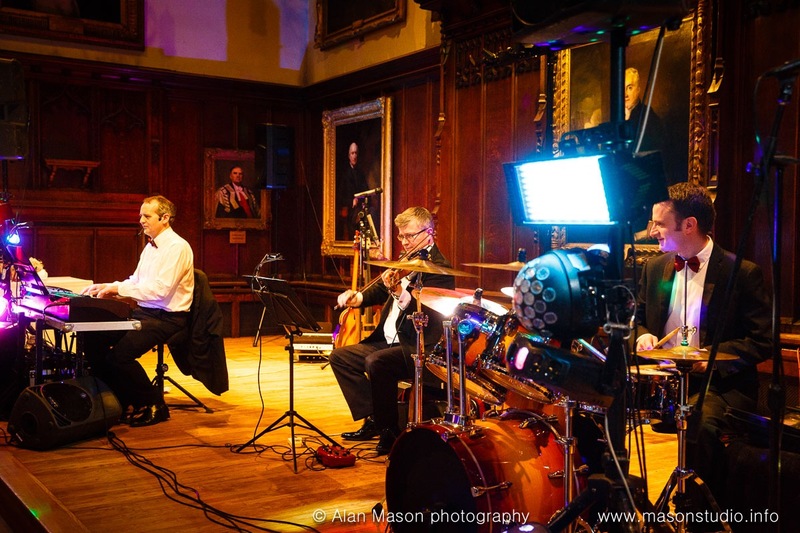 North East Soiree's String quartet is an ideal start to any event and will arrange music as required. 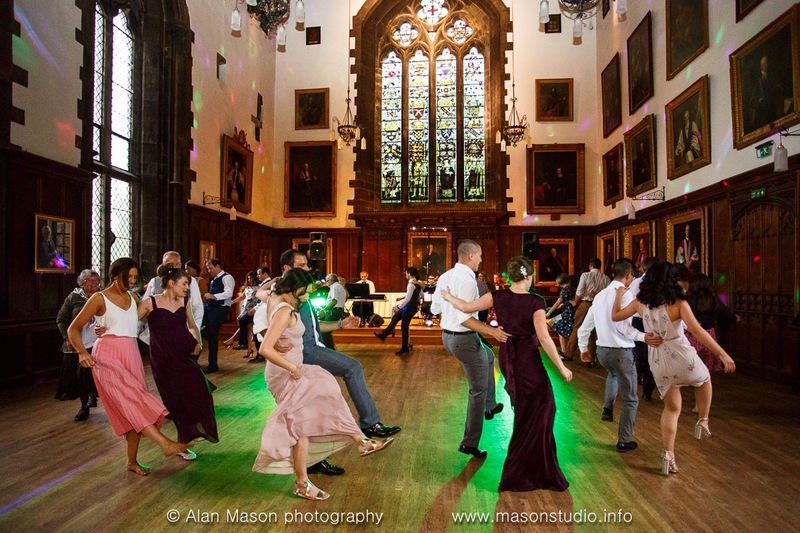 North East Soiree can then turn into a Jazz, Ceilidh or Party Band for events and Weddings in Newcastle upon Tyne, Durham, Sunderland, Middlesbrough or anywhere from Northumberland to North Yorkshire. The Band can mix any of the forms of music with Jazz with either Sax or Violin, with Piano, Bass and Drums and a Swing Singer to entertain any party. 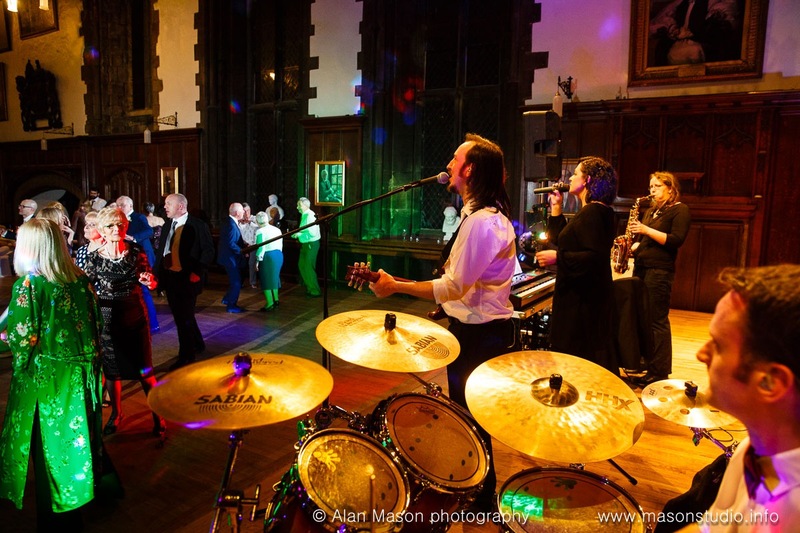 North East Soiree plays only completely 100% LIVE MUSIC in the North East of England and the live covers party band is ideal for Weddings, Events, Parties and Corporate Entertainment. North East Soiree include String Quartet, Jazz, Ceilidh and Party Band within 50 miles of Newcastle upon Tyne - all with one`band.